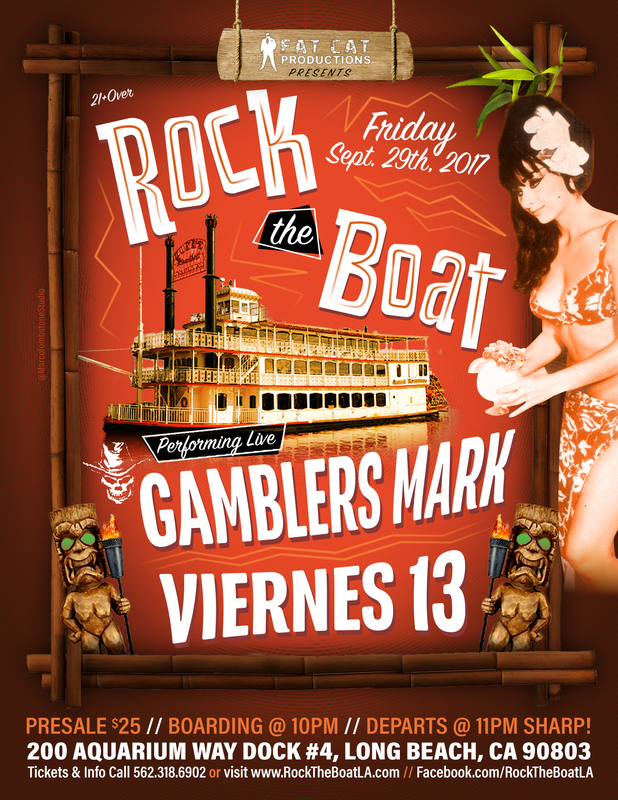 Viernes 13 & Gamblers Mark @ Rock The Boat! After Summer Luau REDO show! - 3 hour Ocean Cruise in beautiful Long Beach Harbor on a 3 Deck Party Boat! !